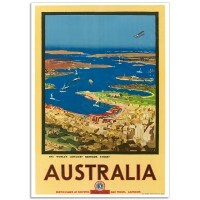 Vintage Travel Posters inspire us all to see the world. 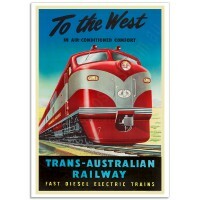 Ocean liners, Railroads and Planes with propellers were technical wonders during the 20th century. 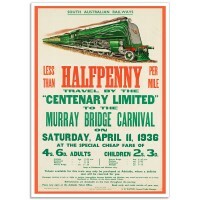 Steam was new technology and sparked a golden age of travel that despite a First World War and a Great Depression, lasted until the eruption of World War II. 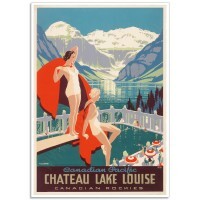 For the first time, travel was not only possible but also pleasurable and luxurious. 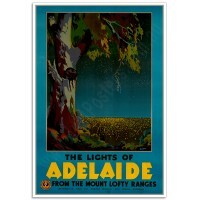 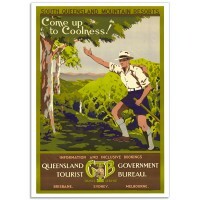 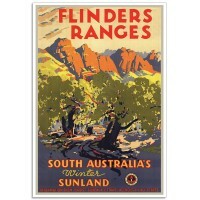 World's Premier Wonderland, Great Barrier ReefA magnificent illustration was created by Noel Pascoe ..
To The West - Trans-Australian Railway - Australian Railway Poster"To the West in Air-Conditioned..
Sth Queensland Mountain Resorts - Vintage Australian Tourism Poster." 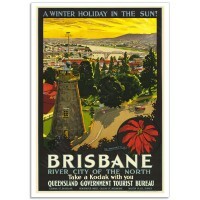 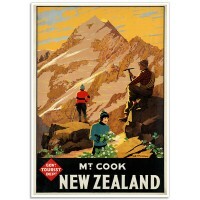 Come up to Coolness".The or..
Mount Cook - Vintage New Zealand Travel PosterMount Cook - New ZealandThe artwork for the origina..
Brisbane River City - Vintage Australian Tourism Poster." 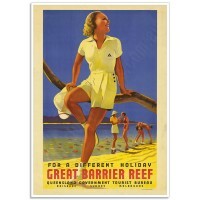 Winter Holiday in the Sun! 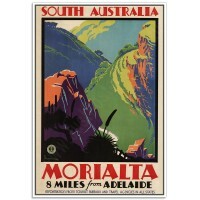 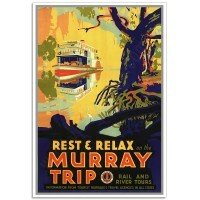 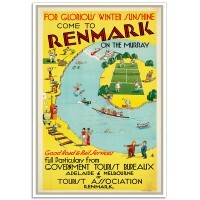 Brisbane, Ri..
SA-Railways - Murray Bridge Carnival - Vintage Australian Railway Poster'Travel by the Centenary ..
South Queensland Surfing Resorts - Vintage Australian Tourism Poster." 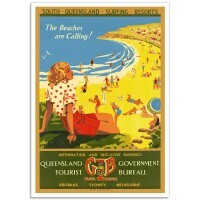 The beaches are calling!"T.. 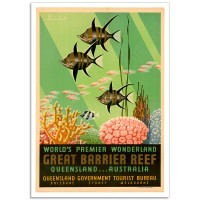 For a Different Holiday - Vintage Australian Tourism Poster.Great Barrier ReefThe artwork for the..
World's Loveliest Harbour - Vintage Australian Travel PosterSydney AustraliaThe artwork for the Orig..
Italia, Abbazia - Vintage Italian Travel Poster. 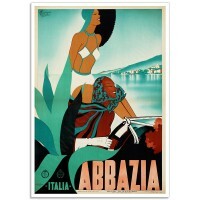 Abbazia Istria, Italia - 1938The Artwork for the or..